Take your dry clean clothes to a reputable dry cleaner. Check the garment’s label for specialist dry cleaning instructions – specialist leather clean, for example. Group your washing into whites, darks and brights to avoid colours running. Take care to wash your garment at the correct temperature – if in doubt, always wash at a lower temperature. Group your washing into whites, darks and brights to avoid colours running. Rinse your garment until the water runs clear after hand washing. 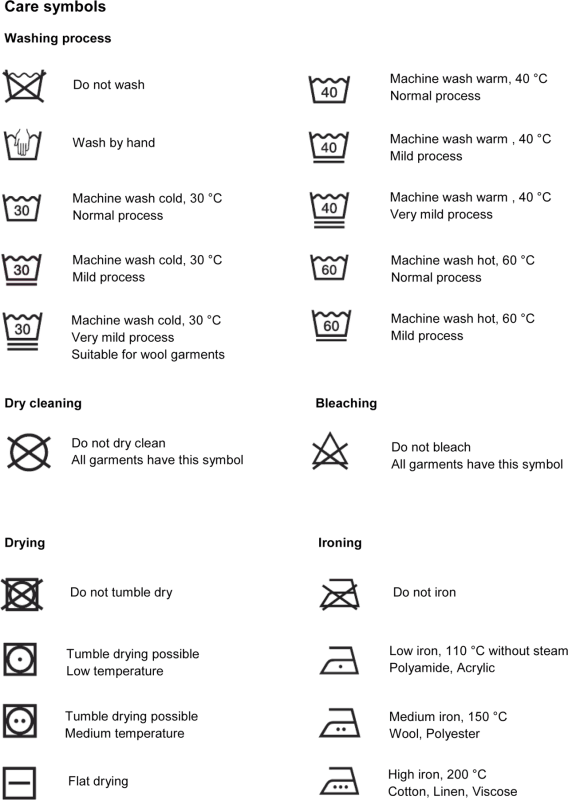 Don’t tumble dry or iron garments unless stated on the care label. Always iron on the reverse of prints or trims. Please take care not to over-fill your bag as it may lose its form and you may damage the handles. Remove the clear protective film from the soles of your new shoes before wearing. Our leather soles are a natural product and are porous in wet conditions – to maintain the life of your MAM MAW London shoes we recommend that fine half rubber soles are fitted. Leave wet shoes to dry naturally, never use artificial heat. Use a shoe tree or stuff them with newspaper to help maintain the shape of your shoes while drying. Use a shoe horn to prevent damage to the back of your MAM MAW London shoes when putting on and taking off.